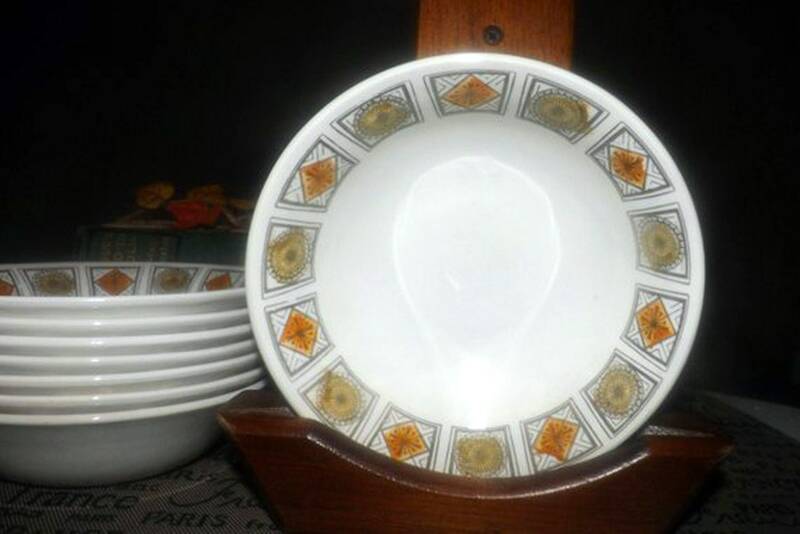 Vintage (1960s) Broadhurst Michelle pattern cereal, soup, or salad bowl designed by Kathie Winkle. Orange, green, black geometrics. 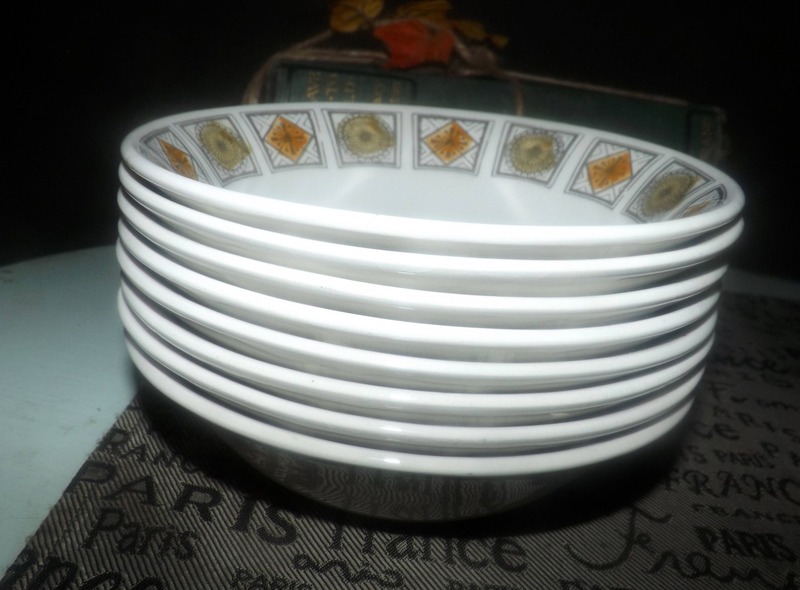 Vintage (late 1960s) and very hard to find Broadhurst Michelle pattern coupe-shape cereal, soup, or salad bowl designed by Kathie Winkle. Orange, green, black geometrics. 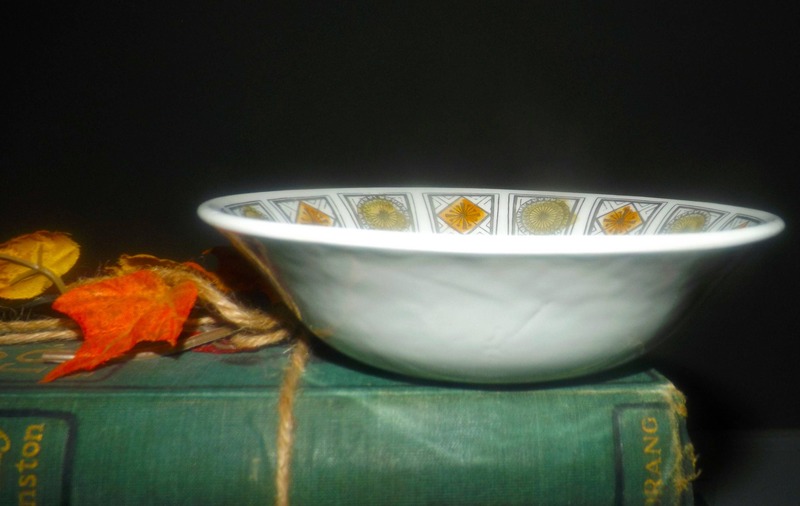 Colors are hand-painted under the glaze to resist fading over time. In EXCELLENT! condition with NO! chips, nicks, cracks or fleabites and LITTLE TO NO! crazing apparent. 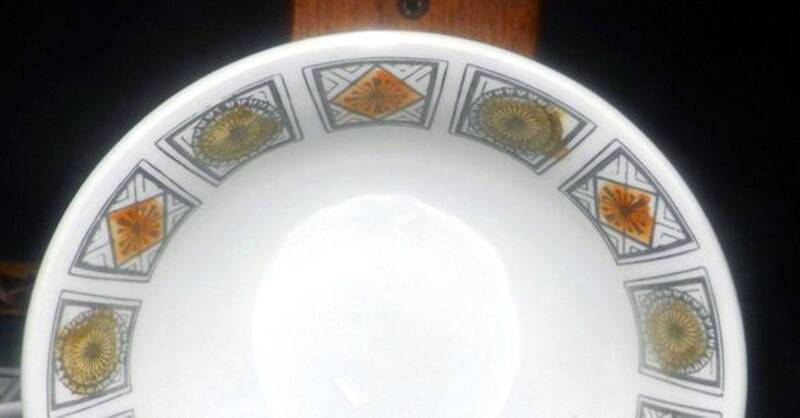 There are a couple of small spots of browning around the green and orange geometrics (please review each of the posted photos for a complete visual of the item). The orange, green and black geometric pattern is bold and vivid with LITTLE TO NO! fading apparent. 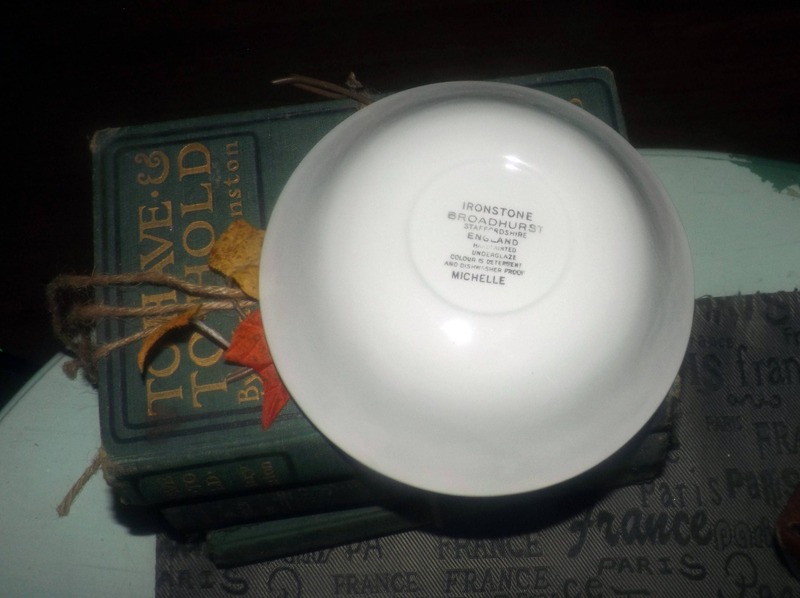 Approximate measurements: 7" in diameter (measured edge to edge) x 4" deep with a coupe shape.